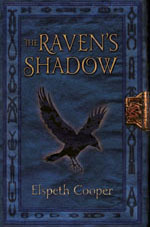 The Raven’s Shadow giveaway winners! Thanks to everyone who entered the recent giveaway for signed copies of The Raven’s Shadow – 176* of you in all. I have so much fun doing these things I wish my dark masters had sent me more copies! What’s been especially nice this time around has been hearing all the lovely things people have to say about the series so far. I’m quite humbled. Never did I imagine that this story I wrote for myself would be enjoyed by so many people. *3 duplicate entries removed from 179 comments. Winners were selected using the random number generation tool at www.random.org. 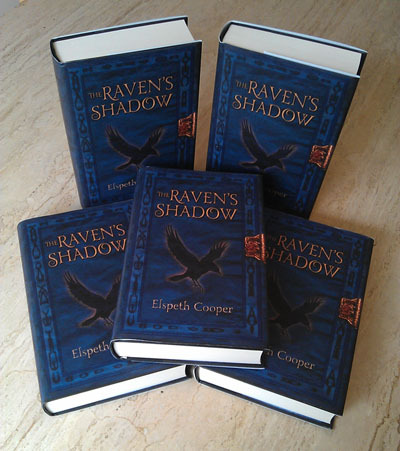 The Raven’s Shadow – giveaway! Ooh, a new book . 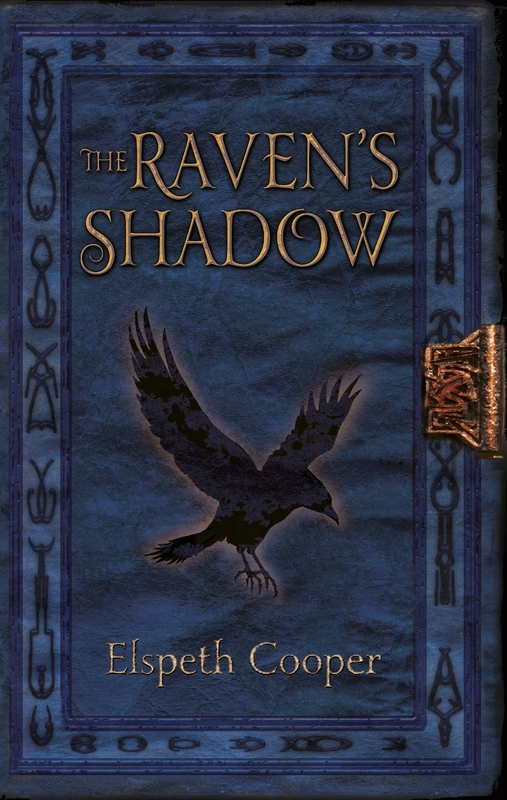 . .
As you may know, this coming Thursday, 15th August, sees the publication of THE RAVEN’S SHADOW in the UK, and shortly thereafter in Australia and New Zealand. This is the third volume of The Wild Hunt series, and things are heating up. Gair’s back on the mainland with a mission to fulfill. Teia is struggling through the mountain snow, desperate to reach safety before her child is born. As the moons move inexorably towards their conjunction and Ytha’s war band levels its spears at the Empire itself, deception and tragedy await. Actions have consequences, and not all of them can be foreseen. I don’t know about you, but I’m just a-quiver with excitement. And look! There’s free stuff! To be in with a chance of winning, all you have to do is leave a comment on this post before midnight UK time on 29th August to go into the draw. On the 30th I will select five winners’ names at random. One entry per person. Duplicate entries will be discarded. Winners’ names will be drawn at random, using a random-number generator. Randomly. If you leave a comment and it doesn’t appear straight away, that’s because I have to manually authorise comments from email addresses the site doesn’t recognise. It’s nothing personal, I’ve just had all the fake Rolexes, NFL jerseys and Louis Vuitton knock-offs I can stand. Sorry. Only comments on this post are eligible. Please don’t ask to be entered via Twitter, Facebook, Reddit or by email because this needs to be fair and simple to administer. Please leave a valid email address or I won’t be able to get in touch with you to tell you you’ve won. Make sure it’s an email address you actually check more than once in a blue moon, because if you win and I email you and you don’t respond to said email within a reasonable time (say seven days) I will give the book to someone else. The dedication doesn’t have to be to you. It can be your sister, mother-in-law, boss or pet rat – I really don’t mind. I will even post it to another address, if it’s a present for someone. Just don’t ask for gift-wrap as well, because do I look like Amazon to you? Sheesh. Yes, I really will ship worldwide. That includes Chile, Burkina Faso and PO boxes on little islands off the coast of Australia. Neither rain, nor snow, nor glom of nit can stay my messengers about their duty. All clear? Right, off you go then – and good luck!